After graduating from Binghamton University, I attended medical school at SUNY Upstate Medical Center in Syracuse. I chose SUNY Binghamton because the clinical campus allowed me to spend my third and fourth years of medical training in the Southern Tier. I attended SUNY Upstate for my four years of psychiatry residency (post medical school training). After I finished residency in 1992, I began working on the inpatient units at Binghamton General Hospital and started a solo private practice. By 1994 I transitioned completely to outpatient private practice because I am drawn to form strong working relationships with my patients that flourish over time. For the first five years in clinical practice, I embraced my allopathic (traditional) psychiatry training. In 2000 I began to expand my interest in integrating diet, supplements, hormone balancing, etc. My second “medical education” began in 2004 when I first heard a lecture by Dr. Geoffry Bland. It was life changing for me and launched my journey into the world of “functional medicine.” Over the years, many of my patients have heard me speak about the Institute for Functional Medicine (IFM.org). I call it “better medicine.” Functional medicine inspired me to relearn medicine with a rigorous systems biology approach. It has become an invaluable lens through which to understand and help my patients. My passion is to empower my patients to heal. 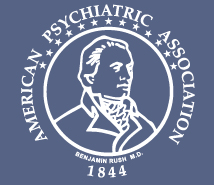 I combine the best of traditional psychiatry and functional medicine. I use many modalities to do so, depending on the situation and my patients’ preferences. 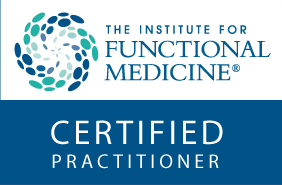 I became board certified in Functional Medicine in May of 2014. I strive to help anyone who becomes my patient to learn, grow, get healthy, and reach their full potential. You are a beautiful soul traveling through this life in your human body. You deserve a careful and caring approach to understanding your concerns and informed options on achieving wellness. I envision myself as a treatment partner – someone my patients can trust to work hard, to listen, to contemplate, to communicate, and especially to continue to add to my knowledge. I treasure a good working relationship founded on openness, safety, and mutual goals. I keep my practice relatively small in order to know each patient well. If you are my patient, you will always communicate directly with me – never with a secretary or a nurse. I feel this improves communication and confidentiality. I do try to live a life based on the things I teach and recommend – kindness, compassion, healthful lifestyle, curiosity, humor, and wisdom. We are all a work in progress! I look forward to continuing my journey and perhaps having the privilege of walking with you on yours.